Miller, Frank H. to H. F. Osborn, 1901 April 6. 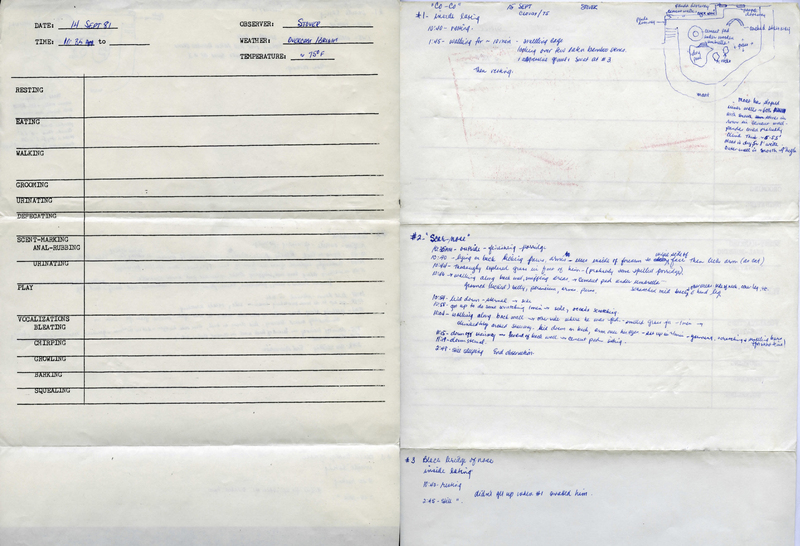 WCS Archives Collection 1002. Frank H. Miller was the New York Zoological Park’s second Veterinarian (1901-1903, part-time). (According to William Bridges’ NYZS history Gathering of Animals, H. Amling Jr. was employed as a part-time vet in December 1900.) 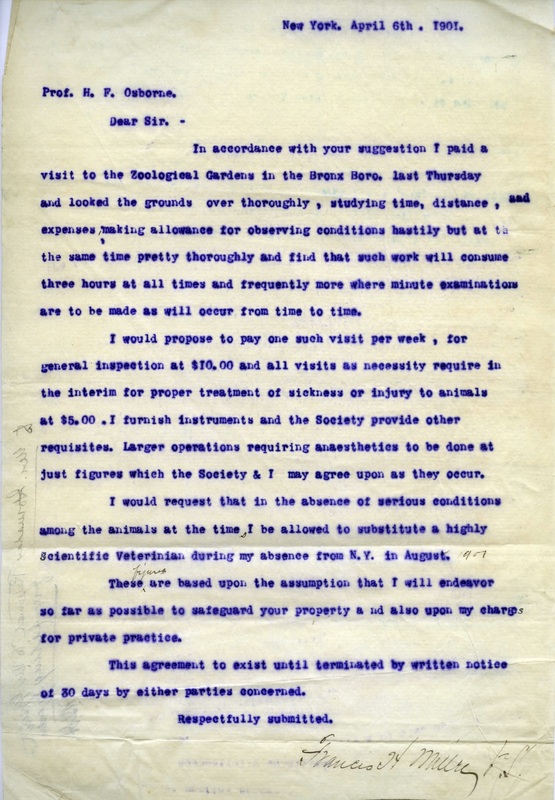 This letter includes Miller’s suggestions to NYZS Vice President Henry Fairfield Osborn (Sr.) regarding the time he would devote to the Zoo and how much he would be like to be paid for that time. 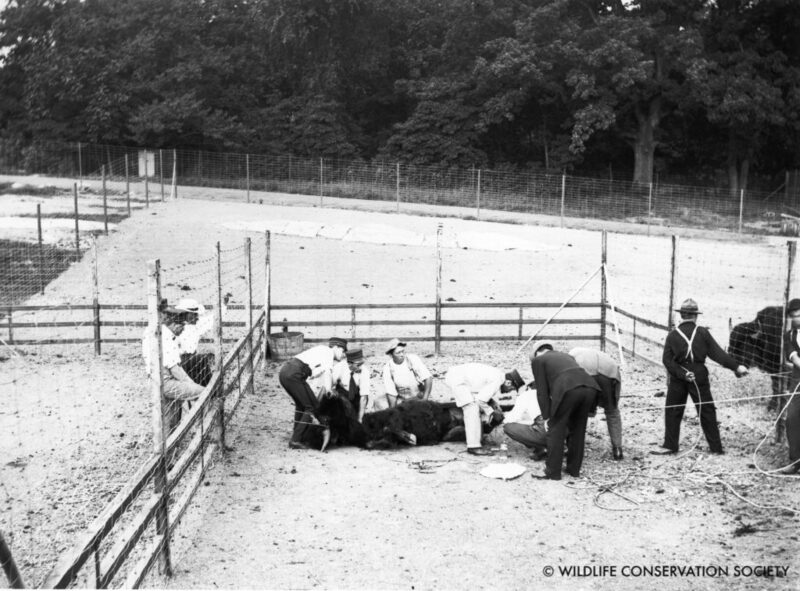 Before the opening of the Animal Hospital in 1916, surgeries were sometimes performed outside and at times even while the animals were on exhibit. 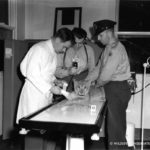 This surgery would have been overseen by the Bronx Zoo’s first full-time Veterinarian, W. Reid Blair. 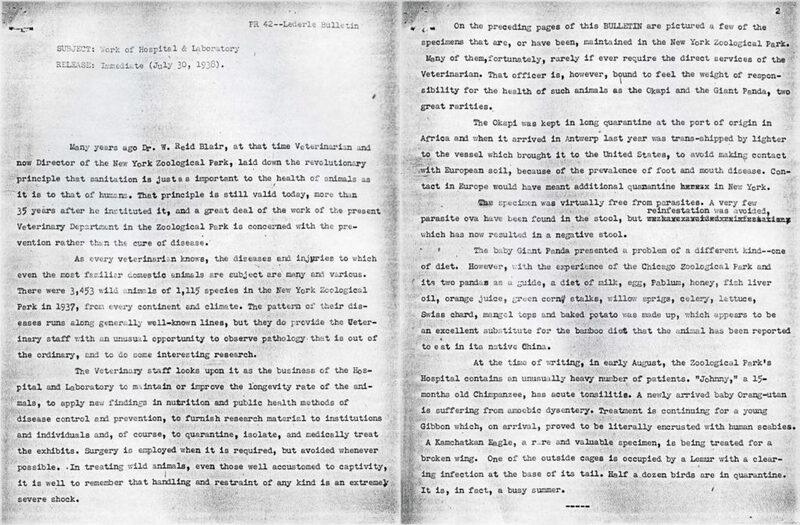 “Work of Hospital and Laboratory,” 1938 July 30 Press Release. WCS Archives Collection 2018. While labeled—and archived as—a press release, this showcase of the Bronx Zoo’s hospital and laboratory work was published in the Lederle Bulletin, a journal produced by pharmaceutical company Lederle Labs, which eventually became part of chemical conglomerate American Cyanamid (now largely part of Pfizer). The brief article highlights a few cases of the hospital’s involvement with Bronx Zoo animals, including parasite monitoring for an okapi fresh out of quarantine, diet formulation for a baby panda, and treatments for various birds and primates. WCS’s Health staff have long reported out about their work to scientific publications and occasionally to popular media outlets. 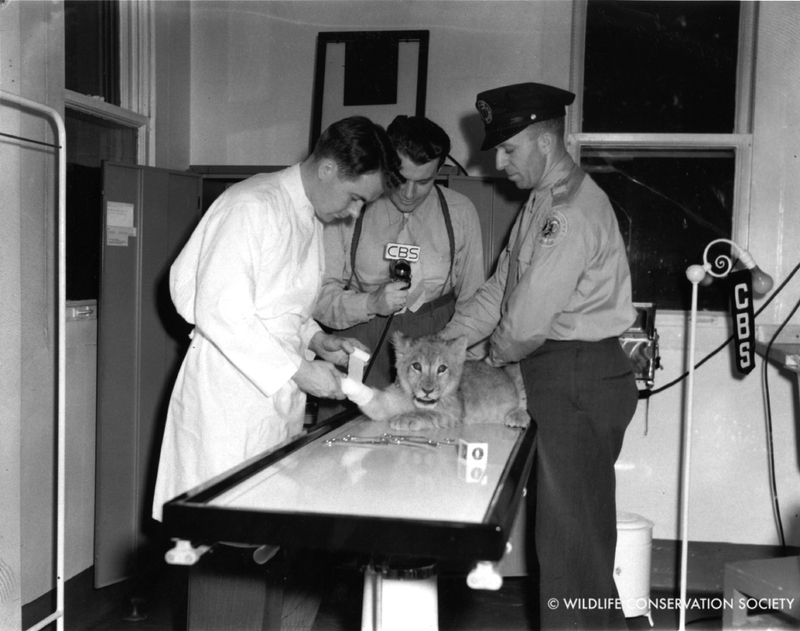 Leonard Goss was the Bronx Zoo’s fourth full-time Veterinarian, serving from 1939 to 1958. He went on to become Director of Cleveland Metroparks Zoo. Stover, Janet. Giant panda field notes, 1981 September 14. WCS Archives Collection 2025. In the early 1980s, Resident Janet Stover and Chief Veterinarian Emil Dolensek were asked by George Schaller, who at the time was Director of NYZS’s Animal Research and Conservation Center (a predecessor of today’s Global Conservation Program) to take part in the first modern giant panda field study. Conducted in China’s Wolong Nature Reserve, the study was designed to understand the reclusive animal’s behavior and particularly its reproductive behavior. Animal Health staff worked with Schaller and Chinese scientists on methods for breeding with artificial insemination and captive propagation techniques in an effort to aid the threatened pandas’ survival.